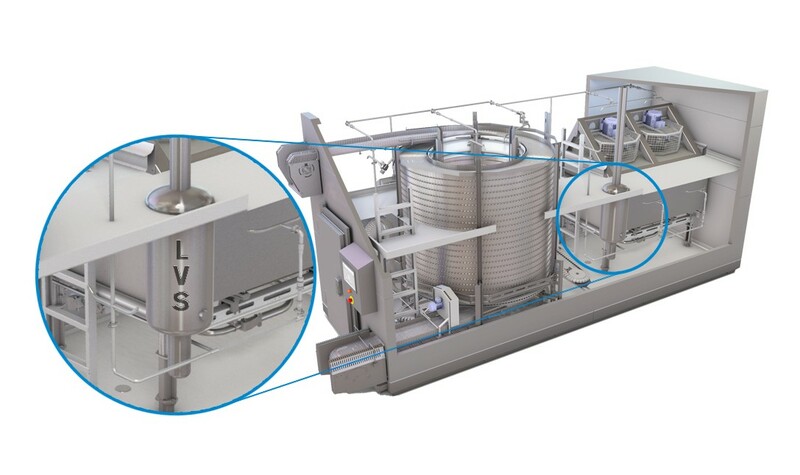 JBT Corporation launches the LVS QuickDry that dries industrial spiral freezers after cleaning fast. It makes use of a patented system of condensation cycles to quickly and efficiently remove all droplets of water from spiral freezers. Unlike most traditional drying systems, which rely on fans and can take an average of two-and-a-half hours to achieve results, drying using the new system takes an hour. In a typical factory environment where conditions are often humid, damp and cold, drying using fans is a slow process that can leave moisture in the freezer if any attempt is made to speed it up,” explains Torbjörn Persson, JBT’s director of value stream and global product line, spiral freezers. “Drying has typically been done by running fans at high speed, much like a dishwasher,” says Persson. With drying often taking up a third for total cleaning time when it comes to spiral freezers, having a dry freezer back in operation as quickly as possible is key to avoiding downtime. However, using conventional drying methods, this is not always the case. “We know from our operational experience that a lot of customers dry and they are still not happy, so they have to dry for another half an hour before they can start running because if you have a wet freezer, water can start to freeze on moving parts causing problems with the mechanics,” says Persson.